An immaculate interior and a lovely location, this spacious property could well be your new home before the end of the summer. 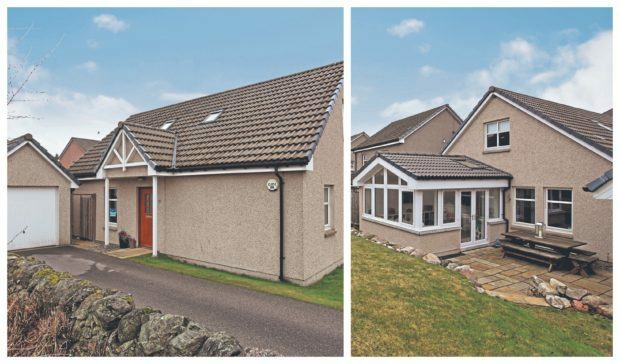 Number 34 Larch Tree Crescent can be found in Banchory and, with four bedrooms, is the perfect family pad. It’s no secret that open-plan living is the way forward, and the kitchen/sun room will clearly be the heart of the home. This fabulous space can be used for both entertaining and family time, thanks to its versatility. With patio doors which open out to the garden, the summer months mean this room is perfect for catching some rays and taking advantage of any fine days. It also makes an excellent play zone for the kids, where you can easily keep an eye on them from the kitchen. The kitchen itself is modern and bright with ample work unit space and integrated appliances. A dining area offers the perfect place for family meals and you’ll be able to chat to guests as you cook, to really make the most of this room. Head through to the lounge, where there is plenty of space to put your feet up. 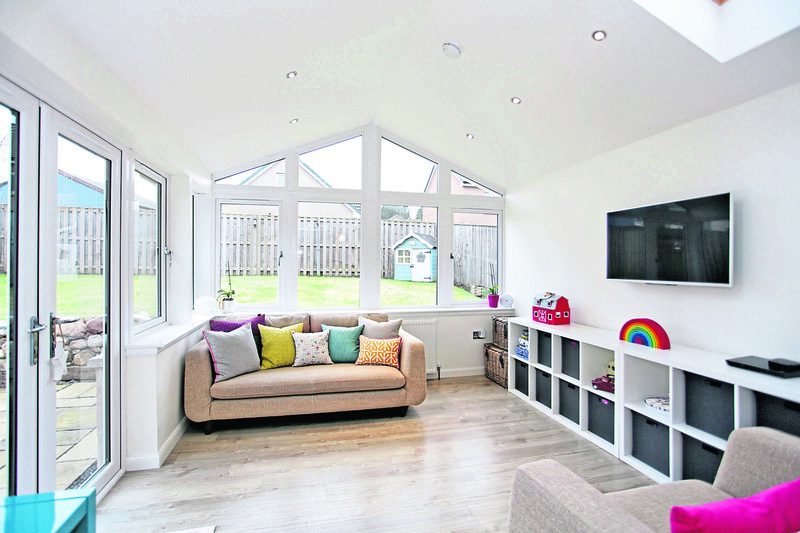 Neutral decor and double aspect windows give the room a bright and stylish feel, with views out over the garden. 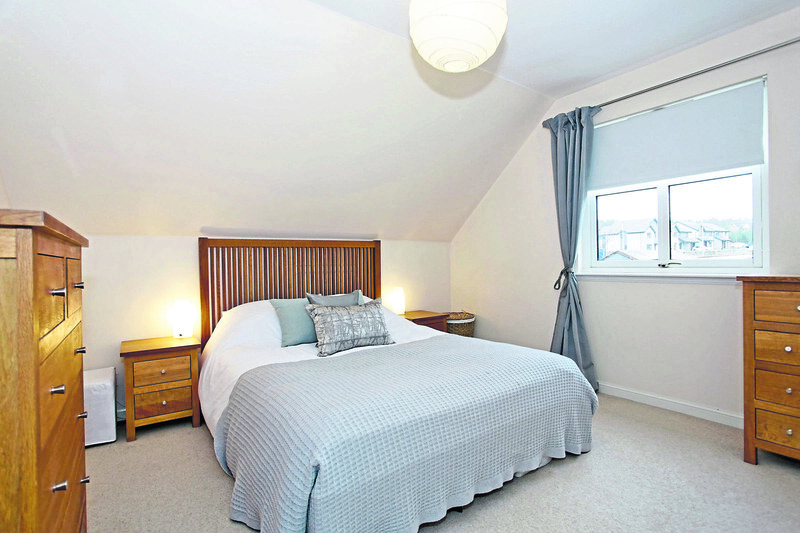 Also on this level are two double bedrooms, one of which benefits from a built-in double wardrobe and is currently used as the master bedroom. Completing the ground-floor accommodation is the family bathroom fitted with a white three-piece suite and shower over bath. Upstairs, there are two further bedrooms, both of which are of a good size. A modern shower room finishes the accommodation. The garden of Number 34 has been designed with low maintenance in mind, with a mix of patio and lawn areas; this has the benefit of being easy to keep on top of – for those who aren’t keen on gardening – while it could easily be transformed into a mini oasis due to the space on offer. To the front of the property there is a driveway and detached single garage. 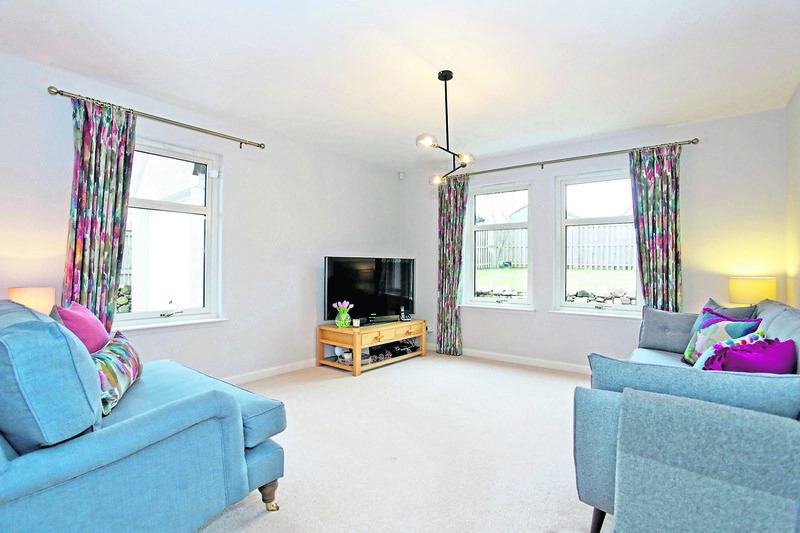 The property is only a short walk from the thriving centre of Banchory where there are plenty of amenities, from good schools to independent shops. 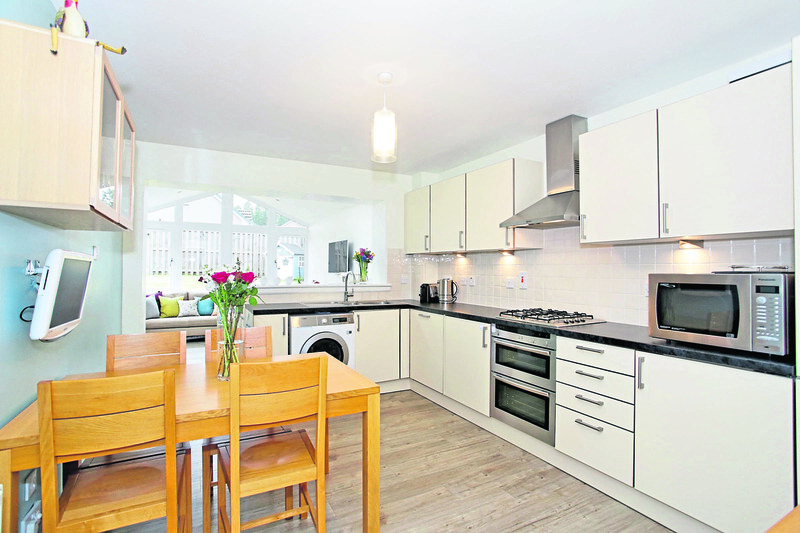 Offers should be made in the region of more than £315,000. Contact Aberdein Considine 01330 824646.